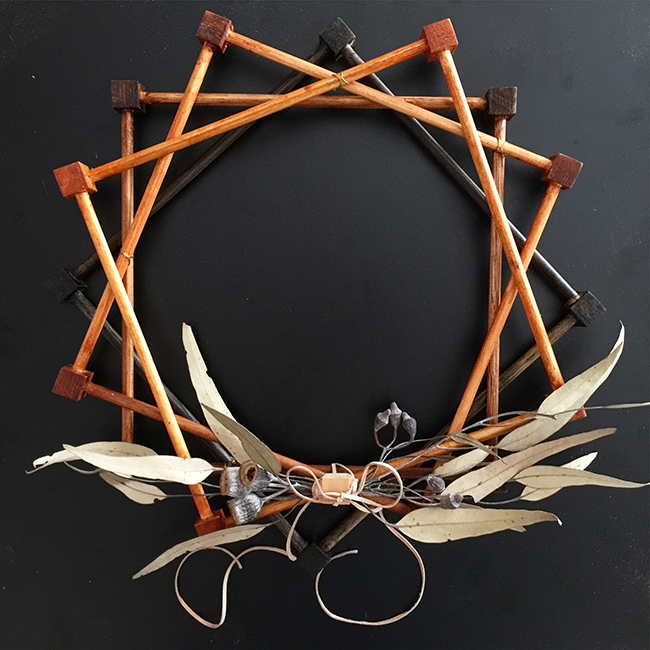 A timber wreath is easy to make unique if you choose a main material that can have colour variations. Then give it life by adding found objects, including something green or from nature. My favourite material to work with is timber, so I made this festive decoration using 18mm-square beading to join round 8mm dowel to make four squares. I finished the squares in different shades of varnish for a tonal effect and to protect it from the weather while it hangs on the front door. 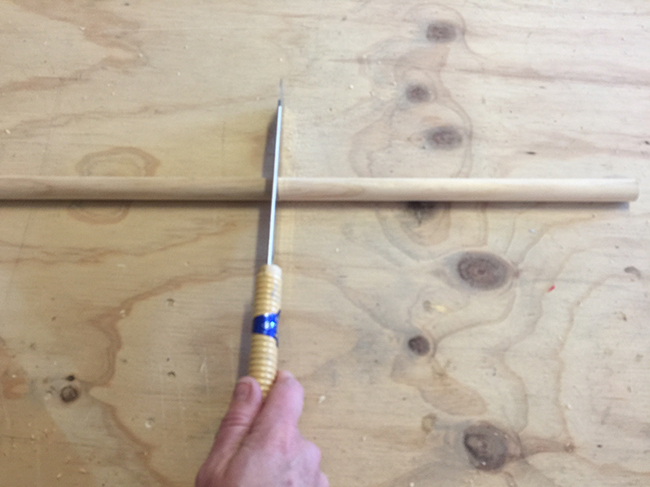 Cut 16 pieces of 8mm dowel to 300mm lengths using a small handsaw. TIP I prefer a Japanese handsaw as it’s easy to use and cuts smoothly. On the square beading, mark the centre down adjacent sides, mark 9mm down for the hole and 18mm down for the cut line, marking up 16 pieces. Drill halfway into each side to make holes about 5mm deep. Use the handsaw to cut the beading into 18mm squares and use the sanding block with abrasive paper to neaten the cuts. TIP It’s safer to hold the length of beading to drill all the holes first, then cut the squares. Dab Bondall Bondcrete into the holes, position the dowel and make sure each square is flat and leave to dry. TIP Weight the corners down with tins of varnish or blocks of timber for about 30 minutes, which is all the time it takes for this glue to dry. Cut a kitchen sponge into small pieces of about 40mm square, one for each shade of Monocel Stain & Varnish. Wear gloves to dip the sponge into the varnish and use the open lid to dab the sponge and remove excess before applying. TIP Leave the varnish to dry thoroughly, covering the sponges in plastic wrap to prevent them from drying out, then apply a second coat. Cut 150mm lengths of picture wire with wire cutters. 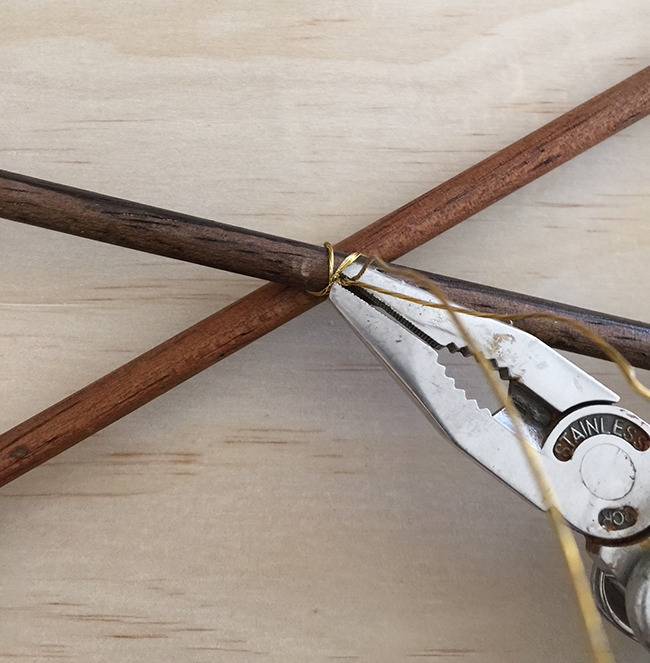 Begin with the darkest square at the back, position the next square and join them in two places, twisting the wire at the back using pliers or a multitool and cutting off the excess. Attach the next square in the same way, working around the wreath. TIP Before joining, position the squares to work out how they overlap, and always tie off the wire at the back. 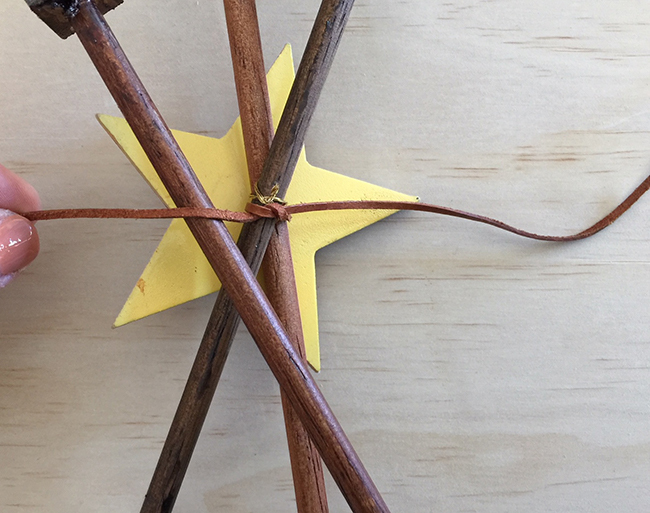 Use picture wire, leather or string to attach layers of decorations, beginning at the base of the wreath and working from the centre to keep the weight balanced. TIP Avoid materials that are too heavy, begin with a flat layer of greenery or leaves then add smaller features of flowers or nuts. TIMBER STARS I found timber stars at a hardware store, sealed them in various shades of Monocel Stain & Varnish, drilled holes through the centres then threaded them with leather and ceramic beads. BUSH FOLIAGE To hold dried sprigs of leaves and gumnuts, I drilled a hole through a piece of square beading to use as a mini vase and pushed them through either side, attaching the arrangement with a length of leather. PLASTIC PLANTS Or use sprigs of plastic foliage.